Why anonymous website visitor tracking..? Did you realize that current statistics show that only about 2% of website visitors will fill out any form to identify themselves? 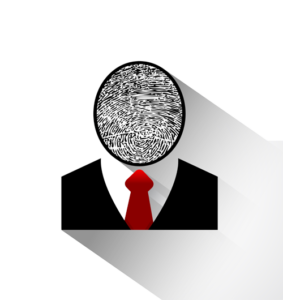 This leaves 98% of your website visitors unidentified, or anonymous. Without anonymous website visitor tracking, those visitors are not trackable and a wasted marketing effort on your part if they do not sell themselves on your product or service. As businesses work to increase their online business presence, finding new ways to reach out to potential customers can be more and more difficult. Anonymous Visitor Identification and Website Visitor Tracking from Visual Visitor goes beyond the basics of tracking the visitors who come to your website. We identify the visitor, track the pages that they are visiting, the time they are spending on each page, and then we combine all of that data with any previous visits. This sales tool provides your business with a clear picture of the visitor’s interest level, any products or services that they are interested in, their browsing patterns, and so much more. Best of all, we do not charge per lead. The leads that you get from your business website are yours! Can you imagine the selling power this will give to your sales team? Are you using social media for advertising? Are your cold calling methods effective? Wouldn’t you like to know which calls visit the site for more information? No longer are those visitors anonymous with Visual Visitor. We will tell you who is visiting and where they are coming from. Knowing which social media and marketing campaigns are sending the traffic to your website not only once, but repeatedly, will enable you to determine the effectiveness of those campaigns. How many times have your salespeople found that the lead has disappeared after the big pitch? Many times this happens as the potential customer evaluates other products or makes product comparisons. Not to worry, Visual Visitor will be tracking them long after the pitch and let you know when they return. Whether it is a day, a week, or a month later – Visual Visitor’s Website Visitor Tracking will be watching and let you know! By identifying the potential leads as they are visiting your site, Visual Visitor allows your sales staff to make the perfectly timed phone call. This insight will give your team an advantage over the competition as you can engage in the sales process earlier, build on these relationships, and close more sales. There are many social media marketing outlets available today, and they require a financial investment. Tracking the effectiveness of those campaigns outside of the provider can help you know more about the different types of companies that are evaluating your products and services. From an Instant Email Alert. This alert will provide you with detailed information about the visitor, their company, the pages viewed, their history, and also includes research information like prepopulated links to popular research sites, keywords used, and any email campaign information. This method does not require you to log in to the dashboard for any of the information about this visitor. Best of all, you will have the history of that visitor at your fingertips…and in your email! From the Visual Visitor Dashboard. We have a very in-depth and easy to use dashboard available to our customers. 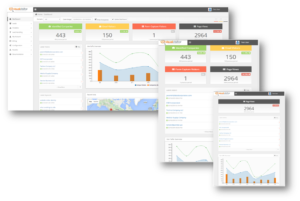 This dashboard displays live stats showing company visits, email visitors, form captures, page views, and more. You can also see your latest visitors from the main screen, or go to the Search Leads page for a full listing. You will also have real-time analytics available to you that can give you in-depth insight into the visitor that a name alone cannot provide. Not all data needs to be seen, and we have many customers who like to have their visitor lists exported and sorted in a way that is customized to their specific needs. This option is available from our Report tab – along with other reports. We offer a convenient, easy to use reporting feature that allows you to sort, download CSV files, and much more! Visual Visitor has worked with many types of businesses over the years and has had great success in developing a product that works across many business models. How is this Different from Website Analytics? Website Visitor Tracking and Website Analytics are very similar. Visual Visitor has actually built in an Analytics feature because we do see the importance of this feature to collect demographic data, user data, hardware data, and more. The difference really is obvious when you add in the Anonymous Visitor Identification part of the Website Visitor Tracking product. Will my business grow if I am able to identify my website visitors? Can my Sales Team better serve our corporate customers from the insight provided from their website viewing patterns? Will the qualified leads provided by Visual Visitor be useful to my sales organization? With a 14 day Free Trial and a low cost of $59/month, can I afford not to try Visual Visitor? Still unsure that Website Visitor Tracking and Anonymous Visitor Identification can help your business grow? Start your FREE 14-day trial and experience the website visitor identification tool businesses trust. This trial does not require a credit card and has no obligations.